Twinkler : First Hillyard Built ? Twinkler is one of the first boats build by David Hillyard, and is believed to have been exhibited at, effectively, the first London Boat Show, in 1922, although it was not called that at the time. The Marine and Small Craft Exhibition which was held at the Agricultural Hall, Islington, from November 14th to 24th, was visited on Wednesday, the 22nd, by His Majesty the King, who showed his practical interest in yachting and all that appertains thereto by spending two hours in going from stand to stand and examining, with the eye of an expert, all the most interesting exhibits and discussing their merits with those in charge of them. Moderate-priced Cruisers : Mr David Hillyard, of Littlehampton, had two boats on his stand which attracted a lot of attention. A 5-ton sloop-rigged keel cruiser and a 3-ton centreboard sloop for day work or cruising. The latter boat would be most suitable for Christchurch or Poole Harbours or similar waters. Both boats are of Oregon pine but could be built of pitch pine for the same price, which, by the way, is very moderate, the 3-tonner being priced at £145, and the 5-ton keel boat at £245. Exactly which boats are referred to is not clear. 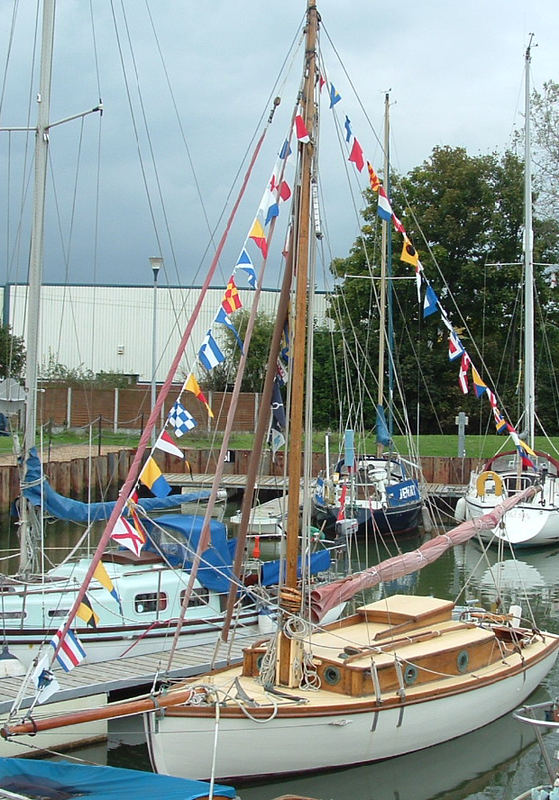 According to Lloyd's, three Hillyard boats are recorded as being built in 1922. Nanouk was under restoration a few years ago but the money funding the project ran out and she may have been broken up. Laranda's fate is unknown. Twinkler was up for sale recently but it's unclear if she sold or not.